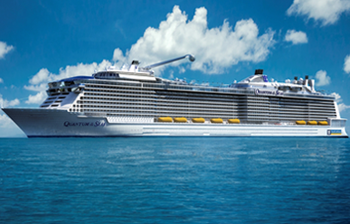 Now it is time to book your (next) cruise. Perfect ship? Check. Great route and itinerary? Check. But now comes the hard part – which is the best cabin? Well of course, there’s no such thing as the “perfect cabin” – there’s a cabin to suit every preference. First you have to ask yourself what’s important to you. Maybe you don’t want to do much walking and a room close to the restaurant would be best. Or would you prefer a room with a great view and sunny balcony? Or is peace and quiet the most important thing? Once you’ve established what you want in a cabin, you’re much better equipped to pick the one that’s the right fit for you. There are typically four broad categories of cabins on a cruise ship: interior, Ocean View, balcony, and suite. Budget-conscious passengers are most likely to book an interior cabin, the most affordable option on the ship. These compact cabins are practical; fine for sleeping and changing clothes. Many passengers are willing to compromise on comfort in order to save money, thinking that they’ll be able to enjoy the view from the public areas onboard. But don’t forget how many other passengers are on the ship who have the exact same idea! The only way you can guarantee your own sunny spot is by having your own private balcony. For passengers who enjoy natural light and picturesque views, an ocean view cabin can be a great option as they offer a glimpse of the ocean through a porthole or picture window. When searching for an ocean view cabin, watch out for “obstructed view”. This means that the beautiful view outside your window will most likely be blocked by a lifeboat. Whilst this usually means a slightly reduced cabin price, it’s not worth it if you were looking forward to a vacation full of romantic sunsets and ocean vistas. The balcony cabin is always a great option! Also known as a veranda cabin, these cabins have a private balcony in addition to a large window or a sliding glass door. The exact size and shape of the balcony will vary from ship to ship, but most have a table and chairs, so you can sit and sip a cocktail or two. Suites offer the most luxurious experience. 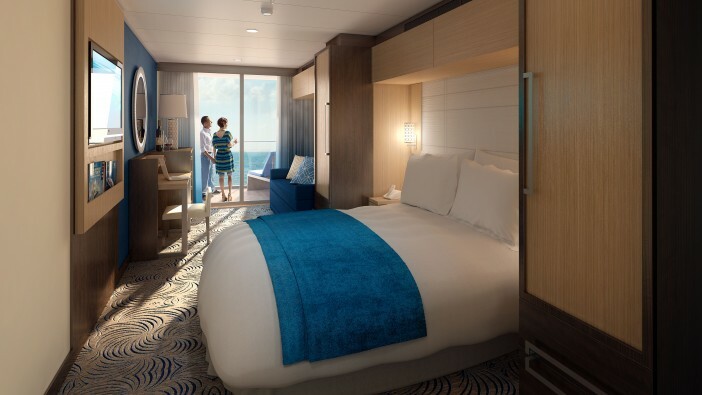 These spacious cabins can range from an extra-large balcony cabin with a separate living room and bedroom, to luxurious apartment-sized accommodations with whirlpools and a private butler (depending on ship and cruise company). Some suites also offer direct access to the spa or exclusive parts of the ship. Our personal favourite? We recommend booking a balcony cabin. You won’t regret it after watching the ship pull into harbour at sunrise from the privacy of your balcony as you sip your morning coffee in private! Guarantee cabins: a good way to save a few pounds or not worth the risk? One clever way to save money is a guarantee cabin. Essentially guarantee cabin means you pick the category of cabin you’d like to stay in but leave the exact cabin selection up to the cruise line. You will be placed into an unsold cabin shortly before departure and if the category you selected sells out, you may be placed into a higher category – but you’re guaranteed to wind up in the cabin category you booked or above. This gamble can be an attractive choice for passengers who want to save money. There is a downside, however, of not being able to select your individual cabin. If you’re unlucky, you might wind up next to the elevators, or below the galley, or above the anchor – all noisy spots that aren’t for light sleepers! For some passengers, the temptation of getting bumped into a higher category is worth the risk but if you want to play it safe, you’re better off shelling out the extra money to pick your own cabin. The cabin category isn’t the only thing to take into account when selecting your perfect cabin. You’ve also got to think about the best location on the ship. This is important if you suffer from sea sickness. The movement of the waves is most noticeable fore and aft of the ship and least noticeable in the middle. Also bear in mind that the further down you are towards the bottom of the ship, the less you’ll feel the rolling of the waves. If you know you’ve got a sensitive stomach, it’s definitely a good idea to book a cabin in the middle and down below. A balcony cabin or suite also has advantages, because fresh air and a view of the horizon can keep you from feeling unwell. If you’d prefer to avoid continually walking up and down long hallways, make sure your cabin is close to an elevator. This is especially true for new (i.e. large) ships. You can easily get your exercise for the day walking to and from the various restaurants, services, and shows throughout the ships. Most cruise ships have elevators fore, aft, and in the middle of the ship. If there’s a member of your group with limited mobility or if you need to avoid long periods walking, you’ll be grateful if the elevators are located just around the corner. On the other hand, don’t forget that elevators and stairways are high-traffic areas (and not just during the day). Consider packing earplugs to make sure you aren’t disturbed by the noise of your fellow passengers as they walk past your door. As a rule of thumb, always check the ship’s deck plan before booking your cabin. Whilst we’re on the topic of noise, make sure to check the decks above and below as well as what’s next door. Whilst at first it might seem like a good idea to get that cabin below the buffet – who doesn’t want first pick at breakfast? – you’ll soon regret your decision if planned on enjoying a lie-in. Even before the restaurant opens, the crew is hard at work setting up and preparing the food, which can lead to a rude awakening in the early hours of the morning. Sleeping directly under the sun deck? Don’t worry about packing your alarm clock – the crew members clear the lounge chairs from the deck every evening and bring them back in the morning. Equally risky are cabins located underneath the theatre, the casino, a bar, or a dance club. There, you can expect loud music late into the night. The best location is a cabin located between passenger decks, where you’ll have other passenger cabins above and below you. Some cabins have a door connecting them to next door– a great option for groups or families. But be careful – these connecting doors don’t isolate sounds as well as normal walls (especially on older ships). Sound travels further through these doors but you can find out which cabins have connecting doors by checking the ship’s deck plans. On many ships, the pool deck isn’t aligned with the other decks of the ship (to maximize space, it often juts out over the side). Whilst this makes for a particularly beautiful view from the pool, it’s not quite so beneficial for the balconies beneath it. The cabins below have an extended roof over the balcony, meaning they’re particularly shady and the interiors much darker. In our experience, this is rarely a good thing – not even in the sun-drenched islands of the Caribbean or the Mediterranean. If you want a bit of shadow every now and again, you’d be better off choosing a different cabin. As we already discussed, the sun moves throughout the day, so you’ll have plenty of time for both sun and shade in a cabin on the upper decks. Another thing to bear in mind is that the pool deck above you obstructs your view. Even if this isn’t so bad during the cruise. you’ll be kicking yourself when you look over your vacation photos at home and see a dark roof overhead where you expected a glamorous sunset to be. Experienced cruisers don‘t just have a single cabin that’s their favourite. They pick their favourite based on the route. Why? If you’re going on a cruise to Alaska, for example, you’ll be traveling along the west coast of North America – either northbound or southbound. If you’re on a northbound trip and you want to get a good view of the glaciers and coast lines, you’ll want to be on the starboard (right) side of the ship. If a romantic sunset dinner on your private balcony is more your kind of thing, you’ll want to make sure you’re on port side (left). For round-trip cruises, this is less important. If you missed out on the coastline on the way there, you can always catch it when you return. If you’re travelling to a sunny destination, you’ll need to take the sun and the heat into consideration. Do you want your balcony where you can sunbathe? Or would you prefer to be protected from the afternoon sun? Bear in mind that the sun is stronger in the north and east in the morning, and south and west in the afternoon. For anyone on the fence, cabins at the very front or very back of the ship have the advantage of both – at least on northbound or southbound itineraries. You’ll spend part of the day in sun and part of the day in shade. On an east/west itinerary, such as a transatlantic crossing, you might want to think about whether you’d prefer to watch the sun rise or set when deciding between fore or aft. Additionally, cabins located at the front and back of the ship tend to have larger balconies with wider vistas. 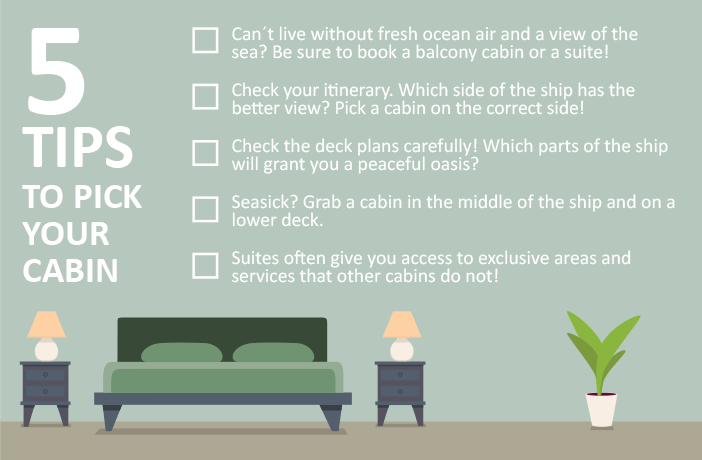 Already thinking about your dream cabin on your next cruise? Our cruise experts can help you find the perfect cabin on your dream cruise. Call us on +44 0808 301 3637 today or search for your perfect cabin on a cruise! Editor’s note: This post was originally published in January 2016 and has been updated in September 2018 for comprehensiveness and accuracy.